The NFL was planning to cut down 21 cherry trees in downtown Nashville to build a temporary stage for the NFL draft, but public outcry has led to a change of plans. Following a Change.org petition that gained nearly 60,000 signatures in three days, Nashville mayor David Briley announced on Saturday that the trees would not be cut down on Monday as planned and would be replanted at a later date. The NFL draft will take place in Nashville for the first time on April 25-27 and will be held in lower Broadway near the Cumberland River. The trees needed to be removed to accommodate all the structures the league wanted, although many Nashville residents cried foul at the removal of the trees. 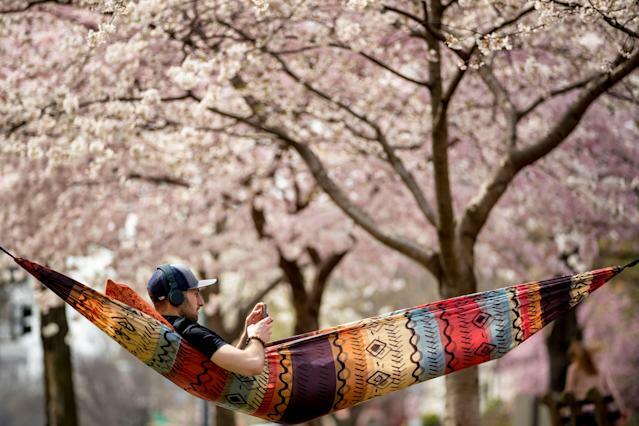 For one, the annual Nashville Cherry Blossom Festival will be held on April 13, and it is a bad look for the league to cut down nearly a third of the trees at Riverfront Park shortly before the festival. The NFL and NCVC each planned to donate 100 cherry trees to Metro Parks by the spring of 2020, but Briley pushed for more after the vocal opposition to the trees’ removal. “The NCVC and NFL will replace the removed trees with 21 new ones, and will also plant 17 more at Riverfront Park in previously vacant and new locations,” Briley said. “The NCVC will pay for the relocation and for any sidewalk damage.